Growing up it was a right of passage to drive a manual and now those growing up do not know what thats like. This is oaky because if you still drive a manual, you have yourself a Millennial anti-theft device. This tire cover pokes fun at the societal transformation of a generation! You must remember that we have a large assortment of tire cover logos so you might have a difficult time choosing between them all. We care about our customers and our main purpose is to satisfy their demands. Please be aware that your order will have track numbers available in 7-10 days from the date your order is placed. This means you will receive tracking information this necessarily mean that it will be deliver in 7-10 days. Please note this difference. We make each and every order on demand. Your order goes through several stages before it can be shipped out. Please be patient as we are working on your order. 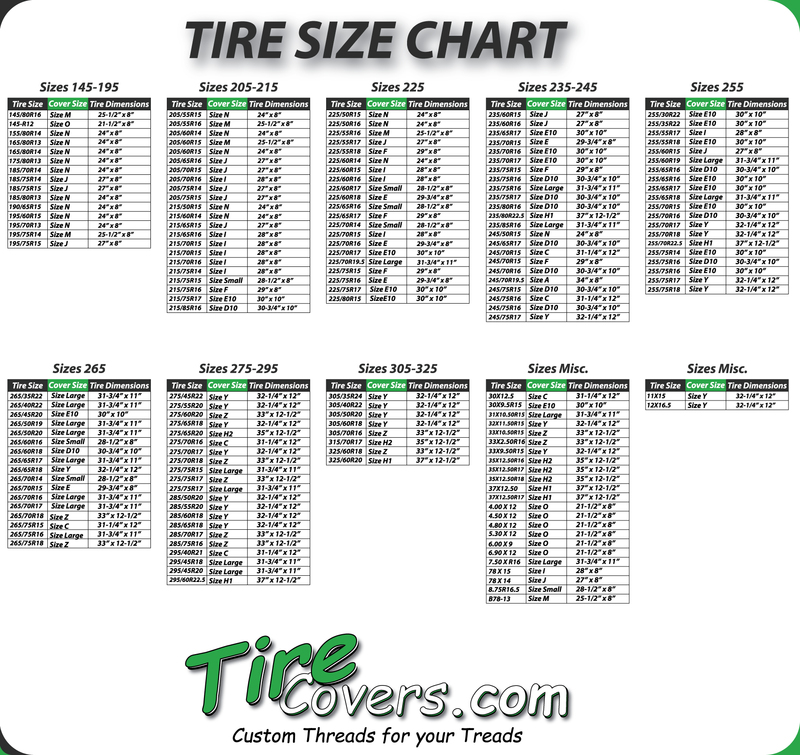 To learn more about the processes that go into your product visit our About Tire Covers page. Nowadays we have great opportunities to satisfy your demands with the high quality custom made products. We are proud to present our wonderful choices of tire covers to you. Without a doubt we are the leading company in this hemisphere for custom made tire covers.